Fuel injection is a system within all engines that adds the fuel into the engine itself, allowing it to run. They are integral to almost all internal combustion engines and are used in most automotive engines, replacing the carburetor in the decades of the Eighties and Nineties. However, this technology has existed since the internal combustion engine was first invented and has evolved to become the primary type of automotive engine over the past 20 years. While gasoline engines have a number of different versions of the fuel injection system, most diesel engines, with the exception of certain types of industrial equipment and model engines, have fuel injected into the combustion chamber. However, there are a number of different ways the fuel is actually delivered to a diesel engine’s combustion chamber. Early fuel injection systems delivered the fuel through spray nozzles with the help of compressed air. While this was mostly phased out over the past century, a number of new diesel engines are looking at this original method of fuel injection in their design, as it reduces nitrogen oxides and other air pollution. The most common type of fuel injection in today’s diesel engines is mechanical and electronic injection, which regulates the idling speed and maximum speed of the engine by controlling the rate of fuel delivery. These include both direct and indirect injection configurations that are used for different types and sizes of diesel engines. 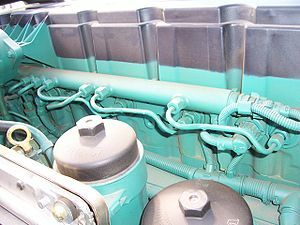 Most of these modern diesel fuel injection systems have a lone fuel pump which adds fuel at a constant high amount of pressure, with a single fuel connection to each injector. Every injector has what is known as a solenoid which is controlled by a small electronic control panel. This controls the speed at which each injector opens, allowing the right amount of fuel to be provided to the engine at the right time. In other words, the more injectors a diesel engine has, the better control and performance will result from the engine itself, as the fuel injection will be perfectly regulated based on what the driver wants.